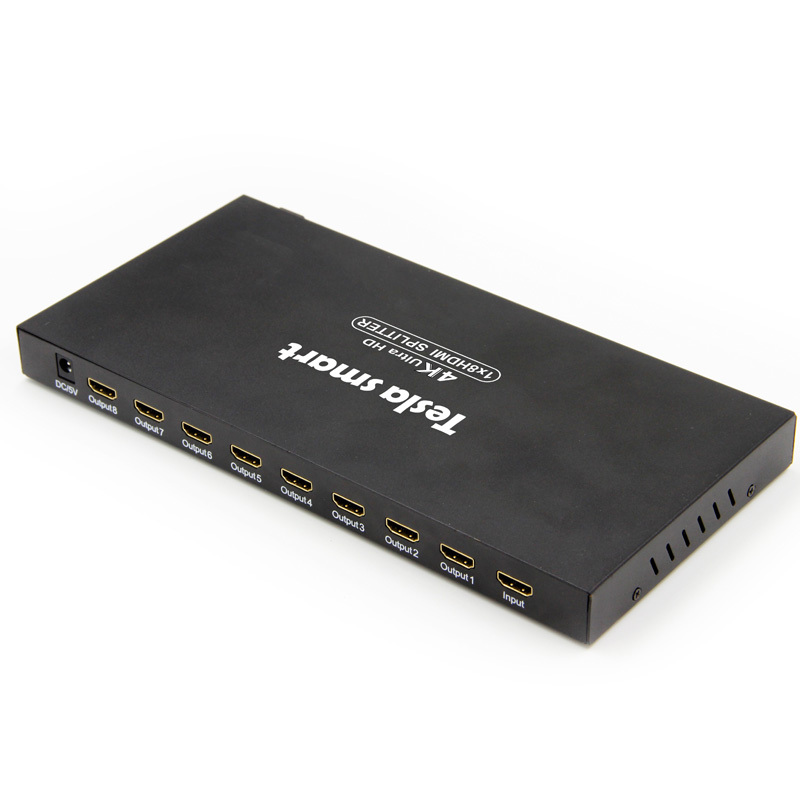 This 1x8 HDMI splitter distributes one Ultra HD A/V source to 8 Ultra HD displays simultaneously without loss of quality. 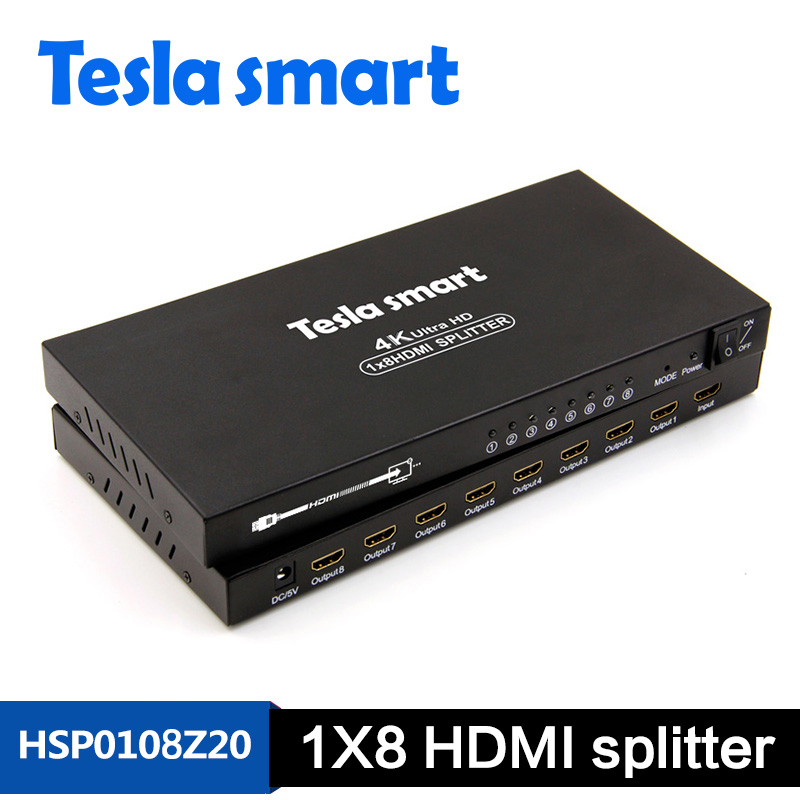 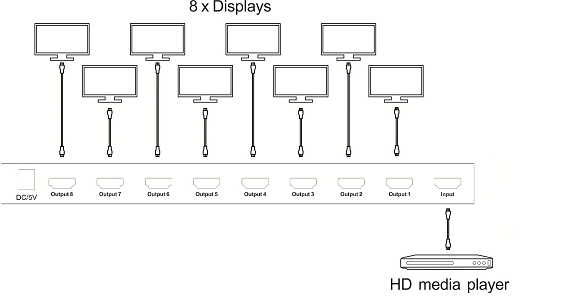 Compliant with HDCP 1.3, support resolution up to 3840x2160@30Hz. 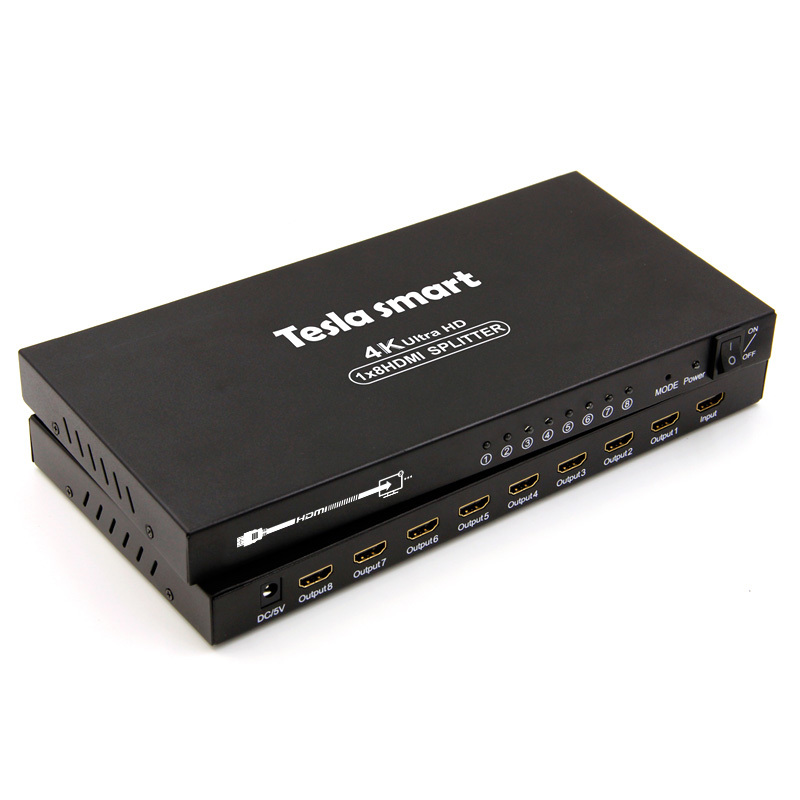 With smart EDID management, let the source device sends suitable A/V contents to the variable displays. 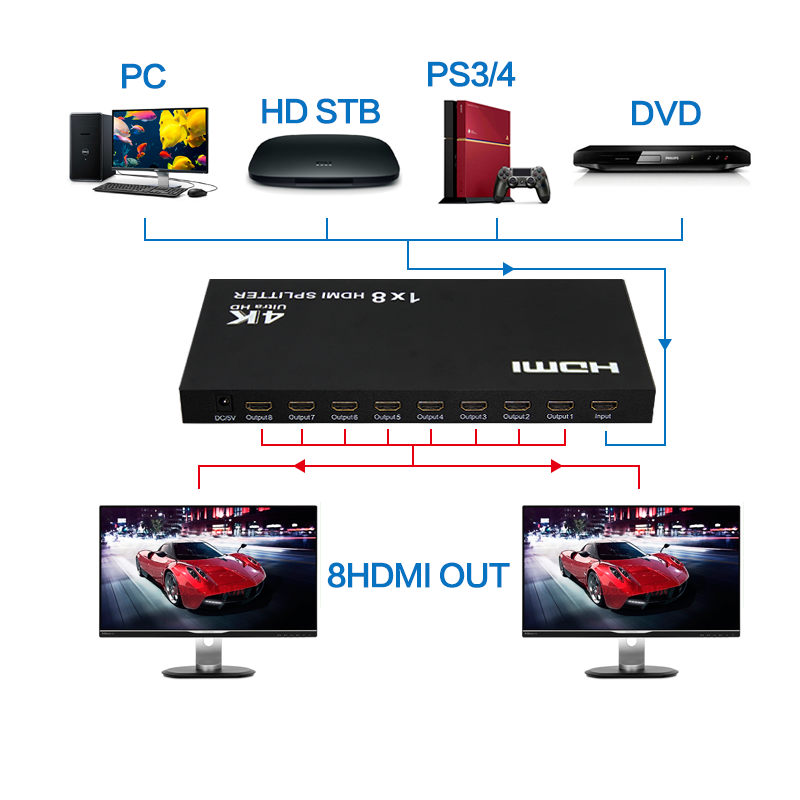 Support pass through LPCM 7.1, Dolby®TrueHD, Dolby Digital® Plus, and DTS-HD® Master Audio™. 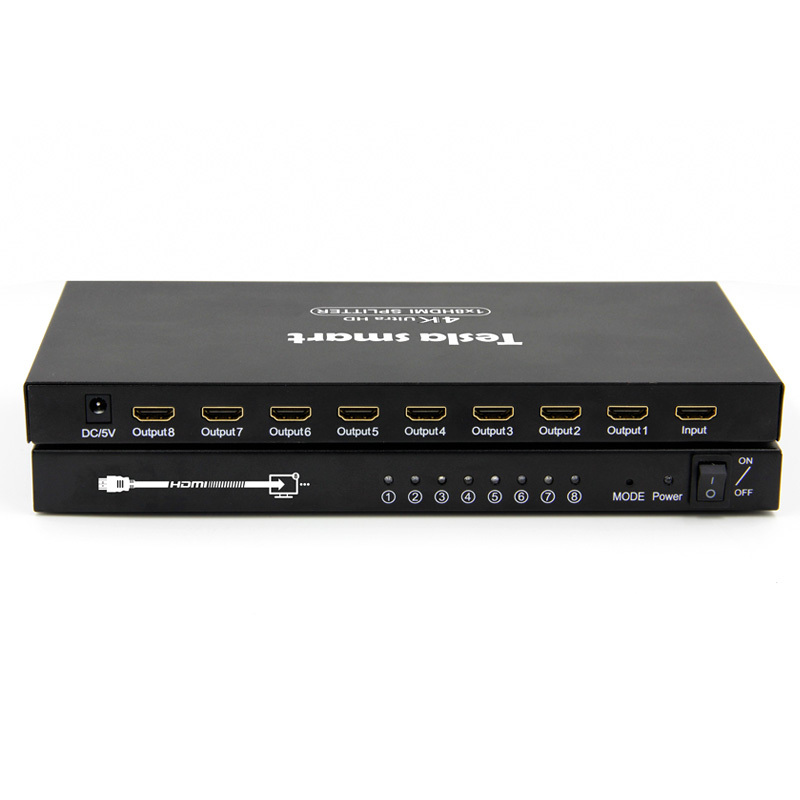 The HDMI splitter(HSP0108Z20) is apply to TV stores, exhibition hall, bars, KTV clubs, schools, hospitals, hotel lobbies, retail establishments and any other installations where Ultra HD AV content from an HDMI source needs to be displayed simultaneously on up to 8 Ultra HD displays.